"A first-rate introduction to a still largely extant North America away from the great cities. This 400-page documentary by a dedicated exploring scholar explains how and why the landscape changed between the times of the early Spanish settlers and the impact of industrialization." --House and Garden "A remarkable book. 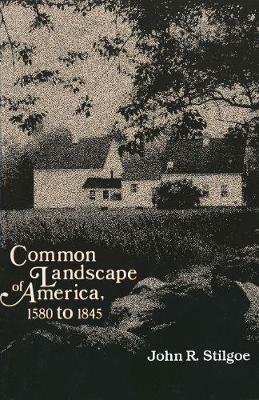 John Stilgoe has provided us with a panorama of American land development that is unique in the literature of this filed. In the process he has sharpened the reader's perception of the historic struggle between those who would tend the land and those who would exploit it, thus making a significant statement about issues in the forefront at the present day. Stilgoe's global vision over time, combined with his remarkable facility for involving a great variety of elements into one coherent system of thought and feeling, makes this a deeply important and timely work." --Edmund N. Bacon "Recalls how Europeans shaped this country's landscape out of wilderness and, by the way, helped to create our sense of beauty, comfort, and appropriateness...A book that will change the way its readers look about them." --The New Yorker "Focusing on vernacular design and its evolution, Stilgoe effectively demonstrates how builders (rather than professional designers) passed on their traditions from one generation to the next--in so doing shaping America's enduring attitudes towards landscape. An original and fascinating study."--H. Ward Jandl, Library Journal Winner of the 1982 Francis Parkman Prize for Literary Distinction in the Writing of History.